You might expect that a term like “monsoon” has an agreed definition and that scientists can explain when it starts and ends. Defining the monsoon is actually quite contentious, leading to the publication of many different definitions. Some define the monsoon onset according to rainfall, wind change, cloud top temperatures, or a combination of these and other factors. Most of these different methods give results that are similar over Bangladesh. They explain that the monsoon starts in the south east part of the country and sweeps northwestward over a couple of weeks around the beginning of June. However, a couple of publications say something quite different. These publications reveal that the monsoon starts considerably –over 1 month- earlier in northeast Bangladesh. These varying results present us with a challenge. If we want to inform the people of Bangladesh about the monsoon onset, how can we decide which definition to use to produce information? Before we can answer this, we need to understand how the people themselves perceive the monsoon. In this study, we asked over a thousand people from farming communities around Bangladesh about how they define the monsoon and when they think it begins. Somewhat unsurprisingly, the majority of respondents defined the monsoon according to rainfall. On average the respondents thought that the monsoon swept across the country from southeast to northwest around the beginning of June, much like most previous research. The people in northeast Bangladesh thought something different. They said that on average the monsoon starts in early May. 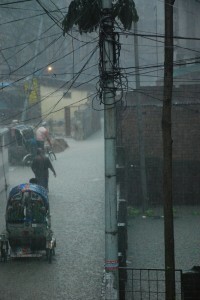 At this time, northeast Bangladesh experiences heavy early summer rainfall. Even though previous research has called this period the ‘pre-monsoon’, the people do not agree. The people consider this early summer rainfall as the actual monsoon. Our results show that the people of Bangladesh have different ways of defining the monsoon just as science does. Also, the people’s perceptions do not necessarily align with the dominant scientific understanding. We hope that our study encourages us to think differently about how we should design and communicate monsoon science if we aim to inform agricultural communities in Bangladesh and beyond. 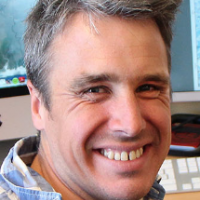 I am a postdoc researcher at NORCE Climate and the Bjerknes Centre for Climate Research. I research the monsoon in Bangladesh and I am the founder of ClimateSnack; a community that hopes to give all young and early career climate scientists an opportunity to practice and improve their scientific communication skills. Tagged Bangladesh, Monsoon, Perception, Rain.